This is a non-fiction part memoir part rant part women’s studies book. 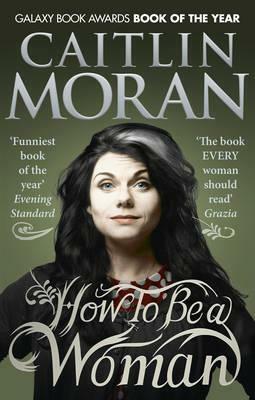 Caitlin Moran takes you through her different moments in her life that defined her as a woman. This ranges from being the eldest of eight siblings to self image to having children to love to her work as a journalist. What I really enjoyed about this book was Moran’s honesty. She doesn’t hold back. With honesty also comes explicitness. She openly talks about her experiences of being pregnant and also her experience of having an abortion. To be truthful I lost interest at these parts. As of writing this, I’m 17 years old (18 on November 13th! *hint*) I have zero interest in marriage and babies. I wonder if there are people reading this that automatically thought “oh she’ll change her mind in a few years!” Ironically, this is also one of the points Moran covered in her book. However, I did enjoy the moments in the book that I could relate to. Like when she talked about what it was like to be 16 years old and working in London! She talks about when she realised she was a feminist when she was around that age, which I could relate to as I began identifying as a feminist at the end of last year, when I was 16 years old. Or when she talked about her body image, which I could relate to a hell of a lot. Body confidence I was something I just could not grasp until this year when I decided to lost 2 stone and I’ve never felt more healthy or happy in my life! I liked Moran’s writing style, too. There are some funny moments in the book which I caught myself grinning hugely at. However, like I said before, she is explicit at moments in the book which I guess isn’t everyone’s cup of tea. This is a wonderful book. It is one of those “what you see is what you get” books. I, personally, would recommend this for women older than I am, maybe 20’s+, but that’s based on my own reading experience. I have 2 friends who both recommended me this book who are also 17 years old and they loved it. If you are comfortable with open honesty and explicitness then go ahead and read this book! Previous Previous post: READING PROBLEMS TAG! Next Next post: Birthday Week + checking in!